A Royal Caribbean cruise ship’s attempt to avoid bad weather put them in the right place at the right time, allowing them to help rescue two men who’d been stranded for over two weeks. Social media reports from those aboard the ship report that the rescued men were fishermen from Costa Rica who had been lost at sea for over 20 days. When the ship’s radar picked up what seemed to be an anomaly, the Captain discovered that it was in fact a small fishing boat. 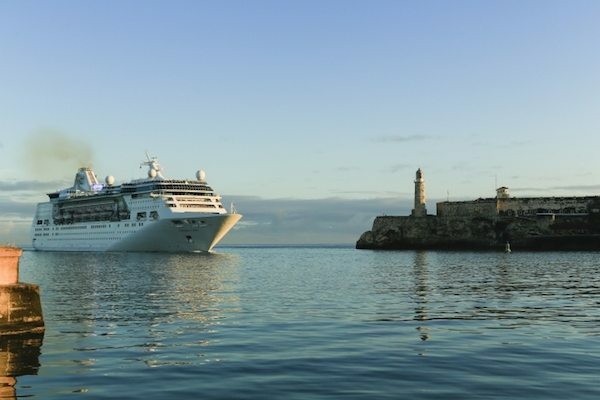 Empress of the Seas is currently on a 6-day Best Of Cuba sailing which set sail from Miami on December 17 and will — after visits to George Town, Grand Cayman Island; Cienfuegos, Cuba; and Havana, Cuba, return to Miami on the morning of December 23.